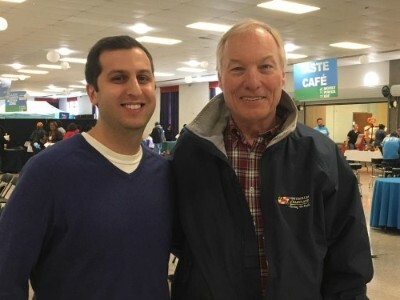 Ben Offit, CFP® and Peter Franchot, Comptroller of Maryland work together at Money Power Day on April 7th, 2018 to help provide free financial guidance and empowerment to the under-served metropolitan Baltimore community. 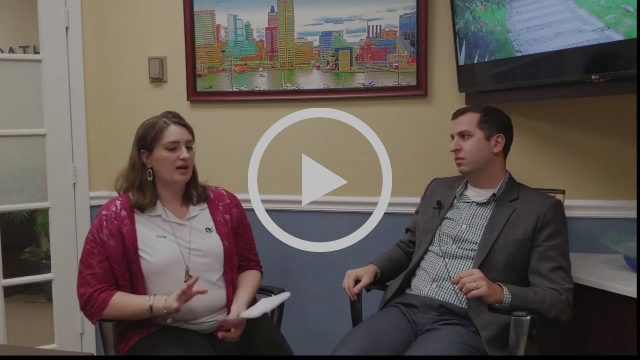 Ben Offit, CFP® was interviewed by Melody Loomis of Carney Chiropractic about financial planning and one's overall financial health. Click here to view the interview! Dow Jones Industrial Average - The Dow Jones Industrial Average is a popular indicator of the stock market based on the average closing prices of 30 active U.S. stocks representative of the overall economy. NASDAQ Composite Index measures all NASDAQ domestic and international based common type stocks listed on The NASDAQ Stock Market. The Russell 3000 Index is a market capitalization weighted equity index maintained by the FTSE Russell that provides exposure to the entire U.S. stock market. The index tracks the performance of the 3,000 largest U.S.-traded stocks which represent about 98% of all U.S incorporated equity securities. The Bloomberg Barclays U.S. Aggregate Bond Index is an index, with income reinvested, generally representative of intermediate-term government bonds, investment grade corporate debt securities, and mortgage-backed securities. Seventy-four percent of Americans said estate planning is confusing. Only a bit more than half of Americans have a will and just 17% have a trust. Only 10% of those without a will or trust have spoken with an attorney or other professional. The printing of U.S. money has two active printing facilities- one in Washington, D.C. and the other in Fort Worth, Texas. Together they use 9.7 tons of ink per day. According to a Harris Poll, 71% of millennial workers are saving for retirement. Fully 39% are defined as “super-savers” – they’re saving more than 10% of their salary and about one in six have saved $100,000 or more. Americans lost track of more than $7.7 billion worth of retirement savings in 2015 alone by “accidentally and unknowingly” abandoning their 401(k). South Korea, which has one of the longest workweeks in the world, is reducing the maximum number of hours someone can work in a week from 68 hours to 52 hours. Lawmakers hope the reduction will increase the country’s plummeting birth rate. Uber and Lyft drivers in the U.S. make a median profit of $8.85 per hour before taxes. Factoring in costs such as car insurance, repairs, and fuel, researchers found that 8% of drivers actually lose money on the job, and 54% earn less than their state’s minimum wage. More than 20% of students report that they’ve invested in cryptocurrencies with their student loans.